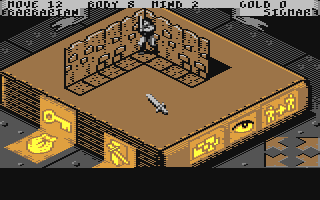 Michael Plate says: This was the first RPG which really fascinated me. I wasn't able to stop playing this addicting game before finishing it. Neo-Rio says: The Commodore 64 version of the legendary arcade classic is a wonderful conversion. 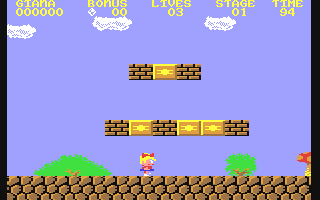 A classic platformer if you haven't played it somewhere else already. 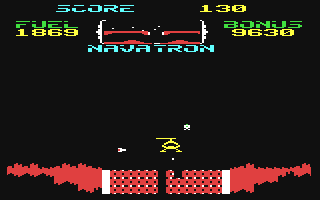 Steve says: One of the first game i ever played on the C64, i still love this one and play through the whole game now and then. great heli-action! 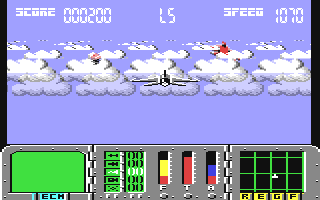 Neo-Rio says: This game is one of the best arcade fighter jet games on the C64. Load up your jet full of weapons, then fire away like mad! Neo-Rio says: Not a bad conversion of the Milton Bradley board game. 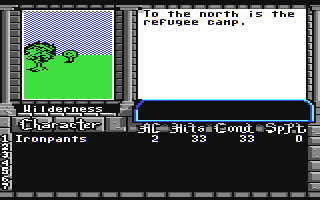 With a series of quests it becomes more like a simplified RPG - which means it's very easy to get into. 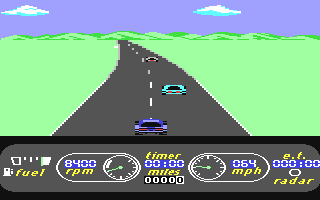 Neo-Rio says: Activision converted their Atari 2600 game "Enduro" to the C64, and added a cannonball run element. The gameplay stays simple, but now there is actually a point to the whole thing. Pugsy says: A blatant rip off, but a fun game...and I've got one of the few original tapes that shipped before the game got pulled before it reached the shelves due to a legal action from the big N.